A few days back Divyanshu accidentally got electrocuted by a high tension wire while he was playing on the roof of his neighbours. His father Mr. Daulat Singh works as a private driver. Divanshu has lost his one hand in the accident. Doctors had to cut his right hand below elbow. 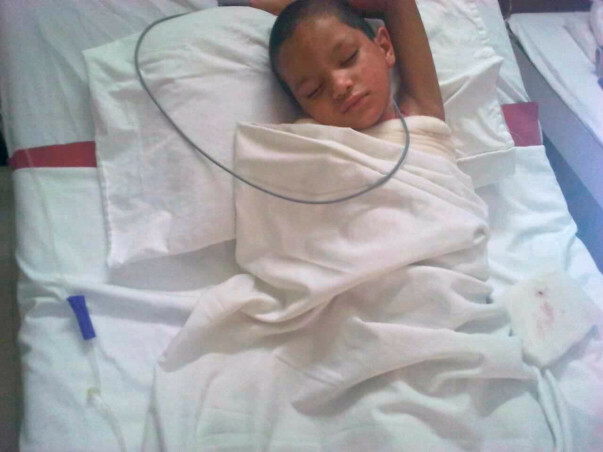 The 8 year old is still in the ICU of the Kailash Hospital, Jogiwala,Dehradun,Uttarakhand, India. 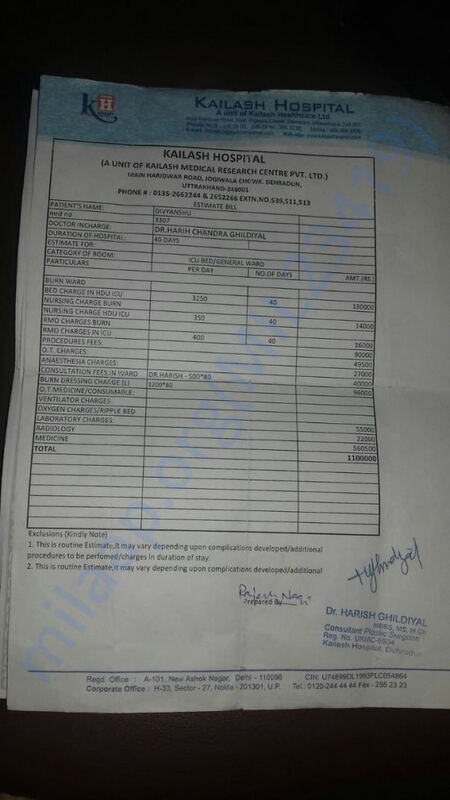 The doctors have given an estimate of around 11 lakhs for his treatment. Let us stand together with Mr. Daulat Singh and help Divanshyu return to his life again. Divyanshu is now completely recovered and doing well at home. He adjusted well to his life now and is active. It was tough for him to adjust since amputation was a tragedy he had to face so early in his life but he's a fighter and he has moved on in his life. He thanks every one who contributed towards his campaign and gave him a chance to live again. His family will always be grateful to each one of you. Here is a quick update on Divyanshu. Earlier the Divyanshu's hand was amputated from the elbow. But infection had spread and his complete arm had to be amputated. He is still in ICU. Treatment is going on.